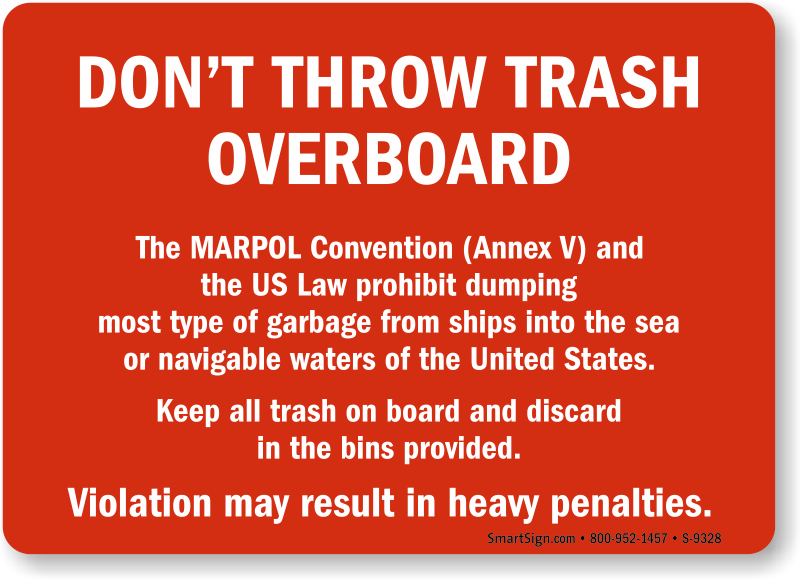 The International Convention for the Prevention of Pollution from Ships (MARPOL) includes regulations to prevent accidental or operational pollution of the marine environment by ships/vessels. 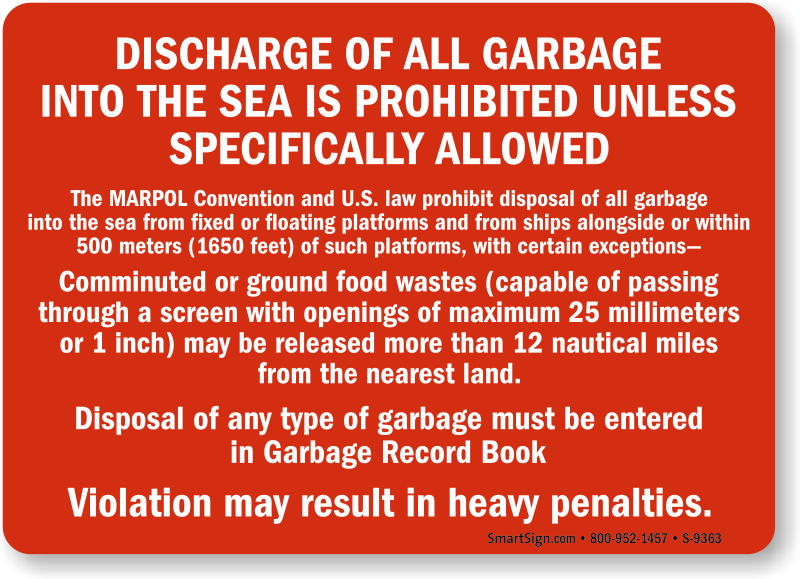 The MARPOL Annex V applies to all fixed and floating platforms of any kind operating in the marine environment. 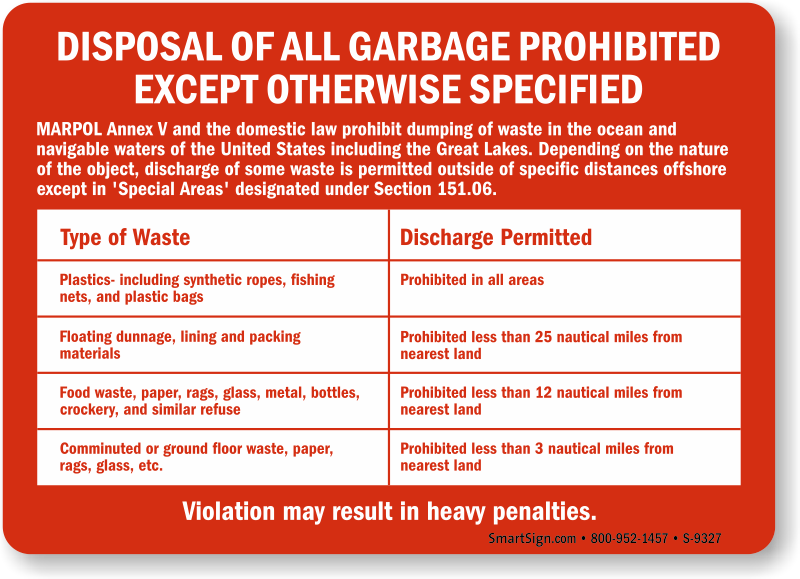 Place these boat/vessel dumping law signs on ships, yachts, commercial crafts, cruises etc to remind ship crew and passengers what they can and cannot dump into the ocean. 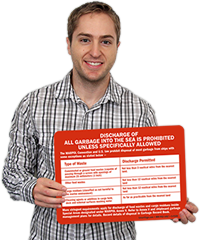 • Reminders like these are essential to keep marine pollution in check. 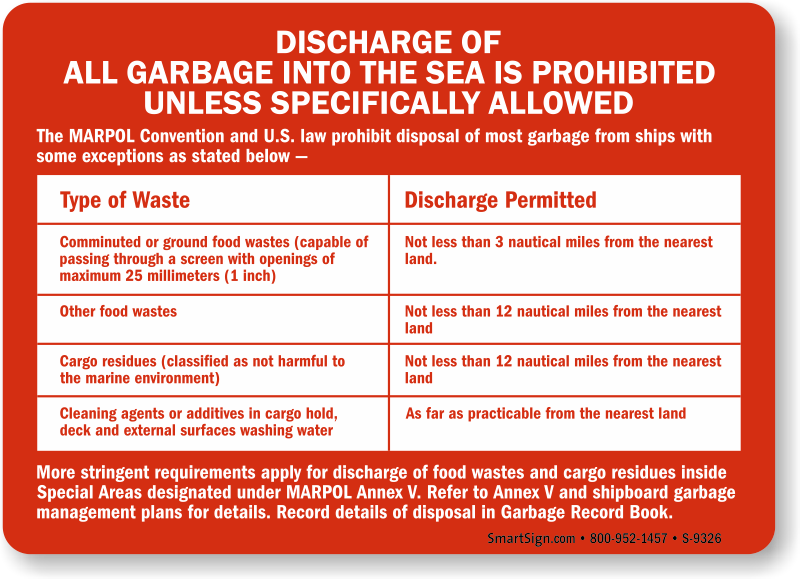 • Signs are designed as per revised MARPOL Annex V.
• Choose from four designs targeted at vessels of different sizes. 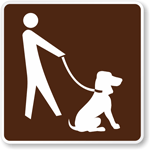 • Durable signs are tough and resist weather abuse, water splashes, chemical spills, abrasion and more. Ideal for both indoor and outdoor application. • Four pre-drilled holes allow easy installation. Smooth, rounded corners prevent cuts and frays during mounting.